Portugal is world renowned for its fortified red wine Port, but there is much more diversity in the wine styles and varieties than you can imagine. This page includes an introduction to Portuguese wine and some notes from a trip to Portugal by Vinodiversity in 2013. Port has always been predominantly an export product, the locals tend to drink table wines. The other export products that people most often mention when talking about Portugal are Mateus Rose and Casal Garcia white wine. Over recent years there has been a massive change in the wine industry. The first is the world decline in consumption of fortified wines including port. Secondly there has a been a modernisation in viticulture and winemaking. The emphasis now is on making quality table wines, even in the Duoro Valley, the stronghold of Port wine production. How many grape varieties are there in Portugal? In Jancis Robinson's Wine Grapes there are 77 varieties listed as having originated in Portugal. This compares to 377 from Italy, 207 from France, and 84 from Spain. Other varieties such as Tempranillo from Spain are used extensively as well, often under different names, for example Albarino from nearby Galicia in Spain is called Alvarinho in Portugal, Tempranillo is known under several names such as Tinta Roriz or Aragonez in different parts of Portugal. 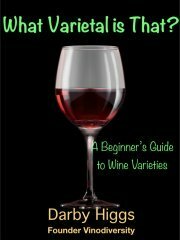 What are the best Portuguese wine grape varieties? The Portuguese have always tended to make blends rather than varietal wines, although the modernisation process mentioned above has changed this. But the modernisation has been done using mostly indigenous varieties, rather than the so called international varieties. Thus the Portuguese have managed to make high quality wines but retain distinctive character. The stand out red variety of Portugal is Touriga Nacional. This variety is a key component of Port but it makes exceptional dry red table wine as well. 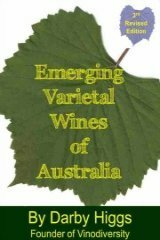 Touriga Nacional is gaining popularity in Australia as well. 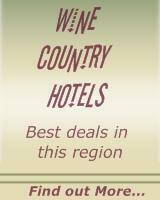 See this article and list of producers of Touriga Nacional in Australia. The Wine Regions of Portugal. Although it is a small country, just over 600km from north to south there are plenty of different combinations of climate, soil and topography for many different varieties and styles of wine. 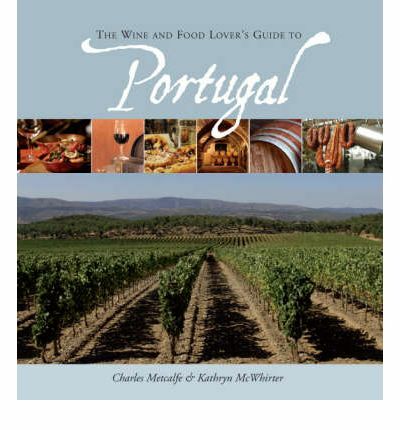 The Wine and Food Lover's Guide to Portugal describes these in some detail. De Long's Wine Map of the Iberian Peninsula will help you find out about the wine regions of Portugal. Vinodiversity has partnered with a travel information service which puts you in touch with tour operators in Portugal. There are guided and self-guided tours for walking cycling or travel by boat or coach. Several have wine themes. Have a browse through the offerings, you can get a free brochure. Portugal - Order FREE Travel Brochure! I've added some stories about Portuguese wine, food and travel below. You can comment on them, or you may wish to add your own story. Have A Great Story About Portugal Wine and Food? Do you have a great story about Portugal? Share it!